Foreigners are allowed to be employed working in Vietnam; Most of cases they are required to obtain work permits granted by a local labor authority. All employees of a company (both local and foreigner) must be registered at the insurance and tax authorities. While the area I includes districts of big cities, the area IV is regulated as remote and difficulty areas. The above minimum wage shall be used as basic for negotiation between employee and employer. On average, employees may not work more than eight hours’ overtime per week. The maximum overtime that the employee can be ordered to work is 200 hours per annum. Minimum annual paid holiday for a normal position is 12 days for people having 12 months working period in the enterprise. Annual paid holiday shall be plus one day more for each 5 years of the people working in the enterprise. The notice period of employment termination is a minimum of two months in case of indefinite term labour contract and one month in case of definite term one. Conditions under which an employer may terminate the employment are expressly stipulated in the Labour Code. Employment can be terminated immediately without notice if both the employer and employee agree. Moreover, the employer can terminate the employment immediately if the employee conducts willful crime or seriously breaches his obligations. At the termination of the employment, employer has to pay employee an allowance of ½ monthly wage for each year the employee working in the enterprise. Collective working agreement should be made and register at the State relevant authority. Social insurance: 26%, in which employees pay 8%; employer pays 18%. Health insurance: 4.5%, in which employees pay 1.5%; employer pays 3%. All types of labour contracts must be in writing in Vietnamese or Vietnamese and a foreign language and the subject of work must be described. Salary conditions, unless agreed otherwise in the collective agreement. Corporate income tax prepayments are payable quarterly (if any). Within first 20 days of first month of next quarter, enterprise has to submit quarterly tax report of last quarter to tax body describing the estimation operation result in the quarter. The corporate income tax of 20% of profit shall be paid in the same time with the report submission. Tax payer: Pursuant to the regulations of Law on Corporate Income Tax, organizations producing and trading goods and services and earning income shall be liable to pay CIT. CIT rates: The standard CIT rate is 20%. CIT rate applicable to activities of prospecting, exploring and exploiting oil and gas and other rare natural resources is between 32% and 50%, depending on each project or business establishment. Preferential CIT rates of 10% and 20% are applicable for enterprises investing in geographical areas with socio-economic difficulties, economic zones or hi-tech parks or in encouraged investment sectors for a certain period of time. Upon the expiry of the period for enjoyment of preferential rates, the standard CIT rate will be applied. 1 20% Newly set up enterprises under investment projects in geographical areas with socio-economic difficulties 10 years 2 years from generating taxable income 50% reduction for 4 consecutive years. 2 10% Newly set up enterprises under investment projects in geographical areas with extreme socio-economic difficulties, economic zones or hi-tech parks; newly set up enterprises under investment projects in high technology, scientific research and technological development, building infrastructure works of special importance decided by the Prime Minister, or manufacturing software products 15 years 4 years from generating taxable income 50% reduction for 9 consecutive years. The duration for application of preferential CIT rates shall be counted from the first year when an enterprise has income. The tax exemption or reduction duration shall be counted from the first year when an enterprise has taxable income; in case an enterprise has no taxable income for the first three years from the first year when it has income, the tax exemption or reduction duration shall be counted from the fourth year. Individuals with a permanent residency in Vietnam are considered tax residents of Vietnam. In addition, any individuals residing or physically present in Vietnam for at least 183 days in a calendar year are considered Vietnam tax residents too. Individuals who spend less than 183 days in a calendar year in Vietnam and who do not have permanent residence in Vietnam, those are treated as tax for non-residents. Residential individuals have an income generating inside and outside Vietnam territory and non-residential individuals have an income generating inside Vietnam territory. + Having a permanent accommodation in Vietnam, including an accommodation registered for permanent residence or a leasing house to stay in Vietnam in accordance with a fixed-time contract. Taxable income includes income from production and business activities, salaries, wages, investment capital, capital transfer, real estate transfer, royalties, commercial concession, remunerations, bonuses and allowances. An amount would be deducted from income before applying to calculate taxable amount. That is: personal living expenses of VND 9.0 million/month; living expenses for each of dependant (children, parents) of VND 3.6 million/month. Expatriates or foreign individuals working in Vietnam are allowed to transfer their income abroad after fulfillment of tax obligations to the Sate of Vietnam. Employment income includes salaries, wages, bonuses, and other compensation of a similar nature and benefits in kind. While personal income received by non-residents, for work performed in Vietnam territory suffer personal income tax of 20%, those of residents is calculated by progressive tax tariff. A person stays in Vietnam territory more than 183 days per year, depended on his/her visa, is considered as resident. 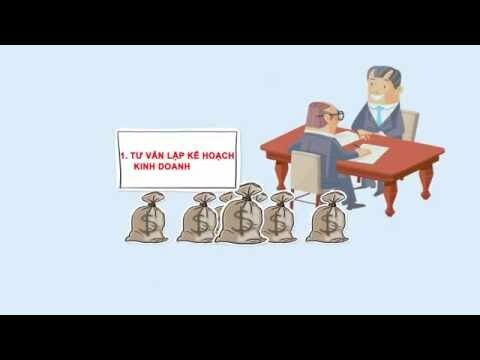 Each individual and legal entity has to register to get tax code at the competent tax office within 30 days as of obtaining licence in Vietnam. VAT applies to goods and services used for production, trading and consumption in Vietnam (including goods and services purchased by organizations and individuals from abroad). When supplying goods and/or services subject to VAT, enterprises must charge VAT on the value of supplied goods or services. In addition, VAT applies to the duty paid value of imported goods. The importer must pay VAT to Customs at the same time of paying import duties. Applicable VAT rates are 0%, 5%, and 10%, respectively. The 0% rate is applied to exported goods and services, VAT is calculated by adding the taxable price (net of tax) to the applicable VAT rate. With respect to imported goods, VAT is calculated by adding the import price to the import duty and the special sales tax (if applicable). The VAT system of Vietnam is also characterized by two types of VAT payers: deduction method VAT payers and direct method VAT payers. Most of companies and business organizations are deduction method VAT payers, i.e. the businesses will have to pay the output tax after deducting the input tax. Businesses must report VAT returns monthly to the tax authorities. The tax authorities, in turn, will check the tax return and issue a tax assessment notice to the tax payer. The payable VAT must be paid monthly to the State budget. The direct method of VAT payment is generally applied to small business households without proper accounting records. For these businesses, VAT is calculated at a deemed rate on gross turnover. Goods imported or exported through Vietnam’s border gates or borders, consisting of goods imported or exported through land or river border gates, seaports, airports, transnational railway stations, international post offices or other places of customs clearance set up under decisions of competent state agencies. Goods brought from the domestic market into non-tariff zones or vice versa. Goods transited through Vietnam’s border gates or borders in accordance with law. Humanitarian aid goods, non-refundable aid goods provided by foreign governments, United Nations organizations, intergovernmental organizations, international organizations, foreign non-governmental organizations (NGOs), foreign economic organizations, or foreigners to Vietnam and vice versa for socio-economic development or other humanitarian purposes under official documents between the two parties approved by competent authorities; humanitarian aid and emergency relief to remedy consequences of wars, natural disasters and epidemics. Goods exported from non-tariff zones to foreign countries; goods imported from foreign countries into non-tariff zones for use in non-tariff zones only; goods transported from one non-tariff zone to another. Goods being oil and gas volumes paid to the State as royalties upon exportation. Duty rates applicable to exports are specified for each item of goods in the Export Tariff. + Standard duty rates are equal to 150% of preferential duty rates applicable to the same item of goods specified in the Preferential Import Tariff. + Goods imported for sale at duty-free shops under decisions of the Prime Minister. + Gifts, presents or sample products given by foreign organizations or individuals to Vietnamese organizations or individuals or vice versa may be considered for duty exemption within allowable quotas. Imported goods or exported goods which are damaged or lost in the course of customs supervision, which is certified by competent assessment agencies or organizations, may be considered for duty reduction in proportion to their actual loss or damage. Customs offices shall consider duty reduction on the basis of the assessed and certified quantity of lost goods and the actual damage rate of goods.